Joyride is a project that frequently underrated R&B artist Tinashe has been promoting since 2015, delayed multiple times as it was apparently held back by label deman 2016’s Nightride album was a catchy, ethereal teaser, but it may have ended up being better than the final product. The label intervention is evident across this project, Tinashe’s quieter style frequently offset by obvious attempts to land her another radio hit with awkward rap features (one fittingly being Offset himself) and production from pop hitmakers like Stargate. The album is a directionless mixed bag, but she still manages to shine in the few occasions where she’s allowed to do what she wants here. Tinashe has always been at her best on more throwback production styles, rather than the more marketable and upbeat party tracks that take up most of the space on this album. Sometimes the two styles are mixed together and the juxtaposition is too much, like on title track “Joyride”, which places a loud “la-la-la” melody and huge beat overtop of the orchestral and spacey synths and strings that she is more known for, which fail to accommodate the constant high energy of the rest of the track. The pure pop tracks fare a little bit better – I’m not going to lie and say “No Drama” doesn’t get stuck in my head for days at a time – but it’s far from the artist I know she can be, she’s a better singer than this basic melody over a trap beat. “Me So Bad” is the most blatant attempt at a trend-riding track that never would have made it onto a Tinashe project with creative freedom, the lyrics doing little more than pointing to her looks with a pretty inexcusable French Montana feature and a beat that manages to take the worst elements of both the tropical and dancehall trends at the same time. The last few tracks on the album never quite come together, the scores of writers in the credits becoming evident as the commercial aspect overrides artistry, the hint of a trap hi-hat echoing on even the slowest tracks. What in the world is that disjointed Future verse?? It would be a much different story if the whole album was filled with tracks like “He Don’t Want It”, the closest thing we get to the highlights of Nightride like “C’est La Vie” and “Ghetto Boy”. Tinashe uses both ends of her vocal register, the breathy falsetto verse introducing the more powerful chorus. I love when most of the elements of the track are made of Tinashe’s dynamic vocal abilities, and the ethereal backing harmonies complete the picture here. It’s great to hear elements of a trap beat without the same rhythms we’re all familiar with from all-star hip-hop producer T-Minus as well. Follow-up “Ooh La La” is an homage to the early-2000s R&B that Tinashe would have thrived in, with a pretty fun flip of a sample from Nelly’s “Dilemma” and calmly picked guitar melody reminiscent of “Suga Suga”, while an unexpected collaboration with Little Dragon on “Stuck With Me” is a fantastic surprise, Tinashe and Yukimi Nagano’s voices occupying that perfect space of having a similar tone that’s just distinct enough to distinguish the individuals. The way Tinashe’s career has been handled is one of the most consistently depressing things about the music in Here’s hoping she goes independent and drops some old-school R&B gems on us. North Carolina rapper J. Cole bounces back in a huge way after 2016’s disappointing 4 Your Eyez Only with his 5th studio album KOD, a concept album of sorts that sees him discouraging forms of substance abuse that have affected him and those he observed in the past by through some Kendrick Lamar-esque play with the embodiment of opposing characters and points of view. While Cole doesn’t really do anything groundbreaking here musically, he escapes criticism by tying it perfectly into the theme of the album, stating that the addictive, repetitive hooks and trap beats resemble the drugs he speaks of. Plus, what I was really missing from Cole was the fire in his delivery, and that’s fully returned with this more modern, upbeat style. “There are many ways to deal with pain … Choose wisely”, echoes a voice throughout the album. The tracklist is divided about half and half, sometimes on the same song, as Cole portrays either himself making the wise choices in the present or a character addicted to or dependent on one of the many “drugs” he describes, both literal and more abstract, like money, power or love. Opening track “KOD” lets listeners know early that Cole has snapped out of the trance that dominated his previous album, offering a rapid-fire triplet flow and booming bassline. The popularized Migos flow shows up quite a bit across this project, but it’s still great to hear Cole’s take on it since his voice and delivery can be one of the most engaging in the industry when he wants it to, always with a sarcastic wink and a jovial bounce. Cole produced nearly all of the beats on this project without any assistance, raising the impressiveness again. My favourite beat of all though is attributed to T-Minus, on standout track “Kevin’s Heart”. Cole makes his dexterous flow sound easy mainly due to the chilled out, 8-bit video game-style instrumental that makes everything sound more impressive on an intoxicating half-time tempo. Perhaps the fact that I’m so drawn to Cole’s repetitive tracks like “Motiv8” and “ATM”, where he portrays a character dependent on an unstable source of income, proves his point. These cheap thrills really are easy to turn to, rather than paying attention to what he’s saying on the more lyrical tracks. While they do veer a bit into the same sluggish tempos he employed earlier, tracks like “Brackets” and “Once an Addict” revive Cole’s elite storytelling ability to tell some tales of how his community and his own life are affected by what he describes. Cole’s advice across the board is never preachy because he is quick to acknowledge that he himself had fallen prey to it as well – he tells a heartbreaking tale of both he and his mother turning to drugs and alcohol to deal with the abusive stepfather that has turned up in many tracks across his career, offering genuine advice to personal friends and younger rappers on “Friends” and “1985” about falling prey to all the various drugs of life, admitting his message isn’t “the coolest” in an endearing way. One of the main themes that frequently seem to hold a Cole album back is his singing, which he almost always relies on more than he should. It makes a few hooks here more awkward than they should be, such as on “Photograph” where he never quite clicks into the beat perfectly. His Kill Edward character’s pitch shifted delivery also muddles his words and throws the pitch off on tracks like “The Cut Off”, but it still adds to the message of the song, the addicted Edward sounding lost and troubled, out of step with the rest of reality. KOD delivers an important message in a very smart way, Cole bringing back his relatable character and storytelling ability to spread awaren Luckily, by exploring characters Cole can do this and deliver some upbeat, fun tracks at the same time. He boasts about his versatility contributing to his longevity over trend-hoppers on closer “1985”, and KOD backs up his point. 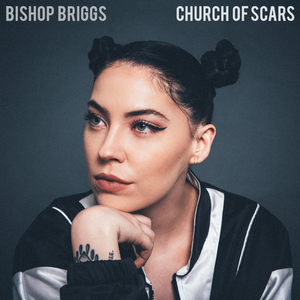 British alt-pop musician Bishop Briggs’ debut studio album Church of Scars comes in the wake of the success of her 2016 single “River” on alternative and rock radio due to her trademark growl and heavier approach to poppier melodies. Her songs have been used in commercials, also contributing to her steady rise, and this album makes it easy to see why. Her formula across these brief 10 tracks becomes incredibly evident and safe, reminding me of Imagine Dragons’ latest project Evolve in terms of the build-up to an explosive chorus over some soul chords that she employs in every song. While her vocal power is undeniable, Church of Scars loses its element of surprise immediately. Briggs blends elements of the past and present across the whole album to varying degrees of success, mixing rock and blues instrumentation with modern trends of pop music such as electronic synthlines and hip-hop influenced percussion, a computerized water-droplet beat quickly snapping the old-soul sound of Briggs’ vocal delivery into the more modern era in opening track “Tempt My Trouble”. While this track serves as one of the most immediately catchy offerings, even it falls into the repetitive techniques that plague most of the tracklisting. Briggs’ voice really does have a lot of potential, and I could see her imbuing it with the genuine emotion that the power behind it deserves to make some powerful content, but she settles for Chainsmokers-style thematic lyricism around a seemingly randomly generated noun and melodies that stay in a safe position in order to build up to the reveal of the only trick she has – the overriding of a vaguely electronic blues-rock template with her growling, explosive vocal wails. Her blends of styles often come across as trying too hard. I feel like I write the word “trap” in every review I write nowadays, but the plaintive acoustic background of a song like “Lyin’” sounds ridiculous with those persistent hi-hats at a time when we hear them everywhere, and whoever did the backing vocals doesn’t help the track much either, sounding too anthemic and angry for the instrumental since an explosive rendition of the chorus is apparently a necessity for each and every track regardless. “White Flag” shows that the vitriol she spits into every syllable doesn’t work as well with rapidly delivered vocals, the rhythm of the chorus lagging behind. As the album goes on, we lose any hope of being moved by Briggs’ power, since we expect her to be yelling at us by the end of every song, knowing not to trust the quieter acoustic introduction. There really are quite a few promising elements here, such as the industrial and menacing horn section on “Wild Horses”, but an attempt at an EDM-style chorus breakdown changes the tempo in such a miniscule way that it becomes irritating, throwing off my rhythm. It all comes together best on “Hallowed Ground”, which incorporates a gospel organ and horn section breakdown that switches things up instrumentally for a break in the monotony. Briggs has a lot of raw talent, but she relies much too heavily on a formula attempting to place her in the modern musical context that she doesn’t really need. With a better team around her, I hope she can convert the energy she possesses into more creative, well-structured song material.